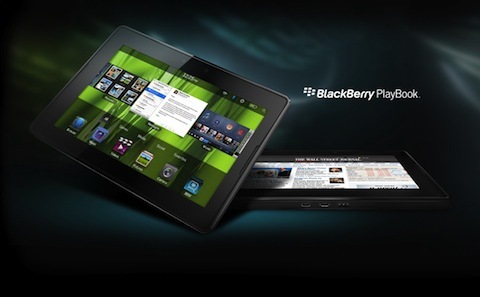 The BlackBerry PlayBook, RIM’s first tablet, is dropping next week. Some technology blogs were able to get early review units and have published their full reviews. We will be getting a review unit in the near future, but until then we have collected some of the most prominent reviews from large news outlets. The reviews seem to be overwhelmingly bad, with the lack of consumer apps and email being the big problem. Check out the reviews after the jump. …I don’t think anyone should buy it right now—BlackBerry user or otherwise—for at least a few months, to see if the platform has enough legs to carry itself to where it needs to be. If the apps do arrive to fill in the gaps, then the PlayBook is totally going to be a tablet to check out. Right now, the BlackBerry PlayBook is a tablet that will come close to satisfying those users who gravitate toward the first word in its name: BlackBerry. Those who were more excited about the “play” part would be well advised to look elsewhere, at least until Android compatibility joins the party. Then, well, anything could happen. As for functionality, what’s actually on the BlackBerry Tablet OS is really quite good – the web browser, the media apps, the multitasking prowess, the crazy Bluetooth mouse control, and heck, even the calculator app that I’m in love with… they all offer really pleasant experiences and run smooth. Where things take a turn for the worse is when looking at what’s lacking. I had hoped not having native email and PIM apps at launch wouldn’t be **that big** of a deal, but it definitely compromises the experience. But the PlayBook isn’t hitting home runs just yet. The OS is still buggy and somewhat touchy. Third-party apps are a desert right now, if not in number, then certainly in quality. The lack of native email and calendar support hurts. The worst part, however, is that I can’t think of a single reason to recommend this tablet over the iPad 2, or for that matter… the Xoom. But — are you sitting down? — at the moment, BlackBerry Bridge is the only way to do e-mail, calendar, address book and BlackBerry Messenger on the PlayBook. The PlayBook does not have e-mail, calendar or address book apps of its own. You read that right. R.I.M. has just shipped a BlackBerry product that cannot do e-mail. It must be skating season in hell. Still, unless you are constantly glued to a BlackBerry phone, or do all your email, contacts and calendar tasks via a browser, I recommend waiting on the PlayBook until more independently usable versions with the promised additions are available. But given that it’s selling at the same price points as the iPad, I find it hard to imagine they’ll be able to compete in the consumer space right now. Maybe if they can nail the Android app support that will change the scene a bit. But Google and their partners are undoubtedly hard at work to make sure something like that doesn’t happen as well — can you imagine the humiliation if a non-Android tablet outsells the Android devices thanks to it being able to run Android apps? With all the positive notes and few, but manageable negative notes, the Playbook will be the tablet to beat in 2011 and it will set a foundation for a line of products who could threaten Apple’s iPad.